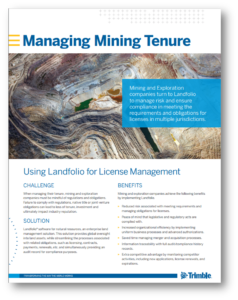 Mining and exploration companies worldwide turn to Landfolio® software for natural resources to manage risk and ensure compliance in meeting their requirements and obligations for mining tenure licenses in multiple jurisdictions. When managing their mining tenure, mining and exploration companies must be mindful of regulations and obligations. Failure to comply with regulations, native title or joint venture obligations can lead to loss of tenure, investment and ultimately impact industry reputation. Landfolio software for natural resources, an enterprise land management solution, provides global oversight into land assets, while streamlining the processes associated with related obligations, such as licensing, contracts, payments, renewals, etc. and simultaneously providing an audit record for compliance purposes. Reduced risk associated with meeting requirements and managing obligations for licenses. Saved time managing merger and acquisition processes. 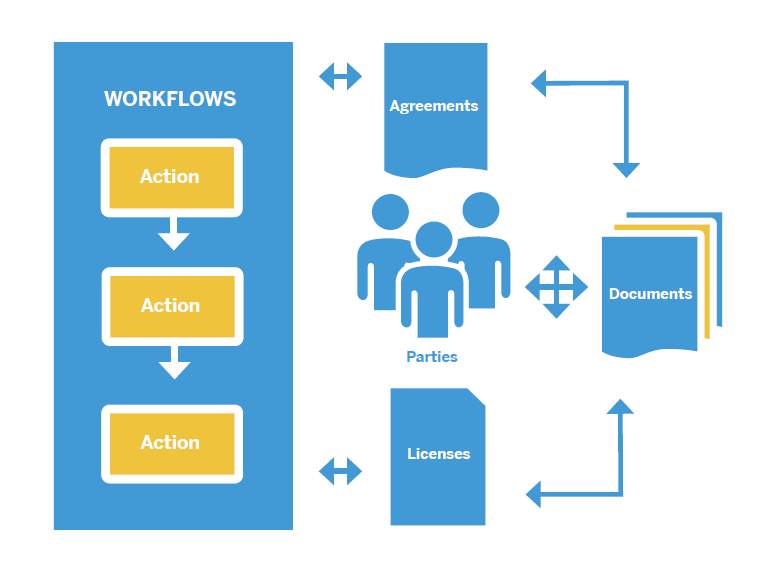 Advanced task management and configurable workflows and business rules that reflect business processes. Advanced GIS component enables map visualisation, selection, and validation of coordinates, restricted areas, minimum and maximum areas, and contiguity. Customised audits and reporting that is compliant with legislative requirements. Landfolio for natural resources is built around a highly configurable framework.